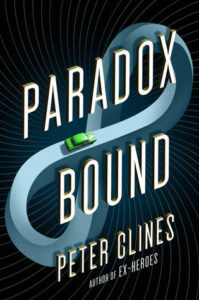 While I loved the idea and the ‘history travel’, as Harry would call it, Paradox Bound took a while to get into and a general haze of confusion permeated many of its opening chapters. If you can get through them, you’ll be rewarded with a fun Western themed time travel book. What happens when a mysterious woman in an outdated car magically keeps re-appearing in your life? Well Eli Teague is about to find out, maybe more than he bargained for. Harry holds more secrets than she is willing to divulge and soon Eli will be pulled across time and the country in a centuries old quest that has nothing to do with him and everything to do with danger. There were so many things I loved about this book. Firstly, I am a huge fan of time travel and even this concept of history travel. Clines has some really great touches to the world building like this, Faceless men, and Harry’s car, which make the world feel real. Secondly, I loved the character of Harry and the relationship between Harry and Eli. There was witty banter and Harry was a generally fun character. And finally, the twists that occur at the end, single handedly redeemed many of the pacing problems I had at the beginning of the book. All of a sudden things become much clearer and cleverer. However, they were not the saving grace. While Paradox Bound is a fun and entertaining book, the pacing issues made the entire thing difficult to start. Additionally, while there is absolutely no shame in reading books for fun, there was nothing really in the book that kept me going – no grand thematic explorations or what not. That is an entirely 100% subjective assessment, because this would be a fantastic beach reads. I don’t come across books like that frequently, but this is one of them. Bottom line? I recommend this if you’re one for a slow start to a book, an entertaining read, and a little step back into time. 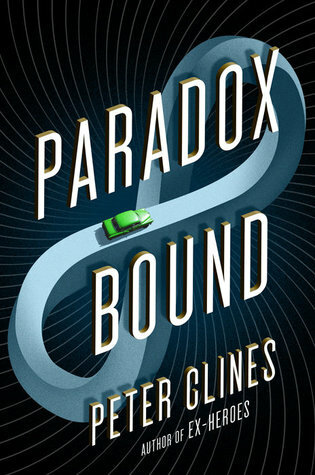 You can find Paradox Bound on Amazon(US), your local indie, and add it to Goodreads. Disclaimer: I received a copy of this book in exchange for an honest review from Blogging for Books. Are you a fan of Westerns?